Presented by Platonic Music. The Space: Dunstan Playhouse (SA). Friday 10 November To Saturday 11 November, 2017. The Carnival of Lost Souls is a macabre yet rather engaging piece of ‘circus theatre’ in the spirit, if not scale of Cirque du Soliel. 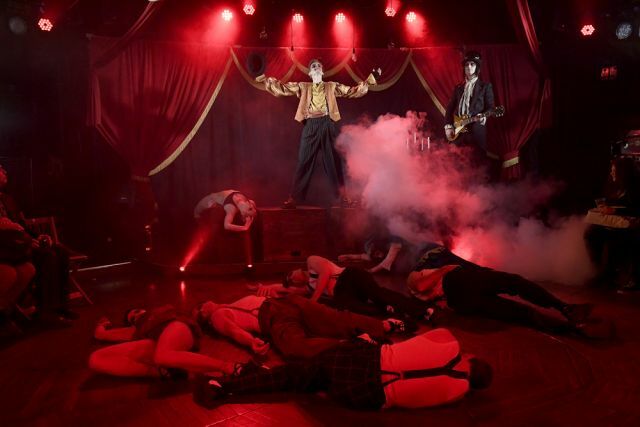 The setting for the rather loose narrative that involves desire, betrayal and revenge, is an old gothic 19th Century Music Hall. When the show was first produced in Melbourne it was in the Melbourne Spiegel-tent. Whilst the show works well in the intimate Space Theatre in the Dunstan Playhouse I couldn’t help but think that it would have been even better if seen in Adelaide’s Spiegel-tent.